While displaying works by loosely-affiliated groups, such as the Monster Roster and the Chicago Imagist artists, this exhibition will also feature work by students and professors from the New Bauhaus/Institute of Design, a selection of works from a 1970 SAIC portfolio, and other artists working independently. Artists: Don Baum, Phyllis Bramson, Fred Berger, Harry Callahan, Barbara Crane, Henry Darger, Leon Golub, Richard Hunt, Vera Klement, Ellen Lanyon, Nathan Lerner, Gladys Nilsson, Jim Nutt, and Ed Paschke. Curated by Kathryn Koca Polite. Click here to view Wikipedia page. Included in Alterity Rocks 1973 - 1993 written by Jenni Sorkin featuring an image of an early Phyllis Bramson sculpture, ‘Baby Heidi Chair’. Featured in Hyperallergic’s A View From the Easel blog, showing Phyllis Bramson’s studio (in Chicago, Illinois). “The Figure and the Chicago Imagists: Selections from the Elmhurst College Art Collection,” curated by Suellen Rocca, one of the original members of the Hairy Who collective and current Curator and Director of Exhibitions at Elmhurst College. Click here to read the recent article "Art & Life with Phyllis Bramson" published by Voyage Chicago.. The Cleve Carney Print Portfolio is a limited edition portfolio created to honor the legacy of the late Cleve Carney. 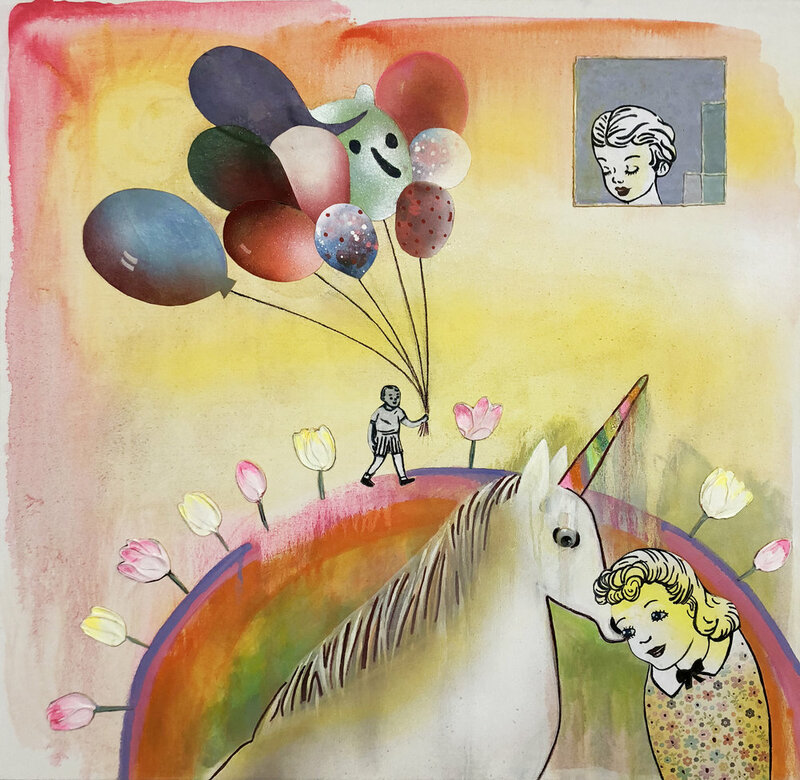 The portfolios each contain prints by Chicago artists Phyllis Bramson, Michelle Grabner, Judy Ledgerwood, Tony Tasset, and Richard Rezac. All money raised through the sale of the portfolio will go to the College of DuPage's Cleve Carney Art Gallery Fund and will be used to continue the presentation and support of contemporary art at the Cleve Carney Art Gallery. Limited edition of 20, click here for more information. A group exhibition curated by Matt Morris, "Casting Inside" was previously seen at ADDS DONNA in Chicago, IL, and will be traveling to New York to Essex Flowers. The show will run from June 29 to July 29, 2018. ADDS DONNA presents Phyllis Bramson in a group exhibition with Josh Dihle and Cathy Hsiao, curated by Matt Morris, “Casting Inside,” opening November 17 and continuing through December 16, 2017. Collected by Linda L. Kramer and Sandra Binion between 2010 and 2013, these oral histories were donated to the Ryerson & Burnham Archives in 2013. According to Kramer, the artists received a list of questions before their interviews so that they had the opportunity to assemble factual material relating to their careers. 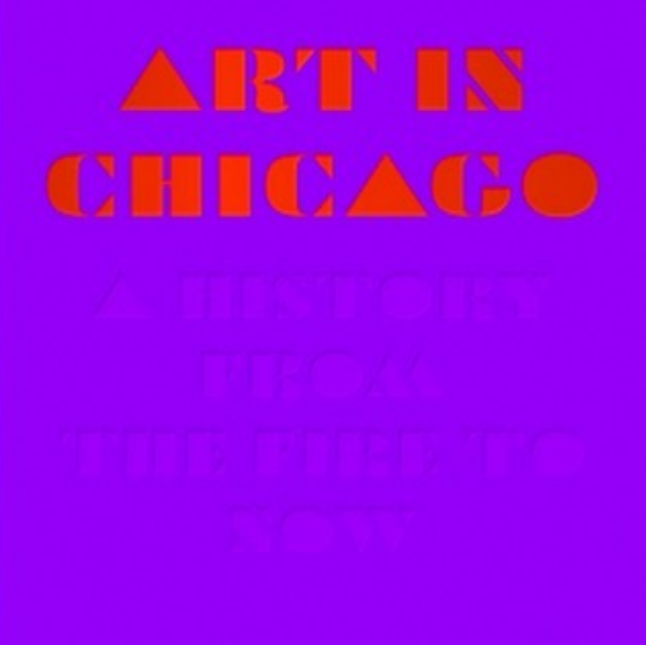 Suggested topics included: academic study, family background, cultural influences, gallery affiliations, exhibitions, awards, artistic influences and the role of Chicago in their work and career. The duration of the interviews varies from less than an hour to 2-1/2 hours. Click to read more, Third Coast Review. Zolla/Lieberman Gallery presents Phyllis Bramson’s solo exhibition, “Opulent Flim-Flam,” opening September 8 and continuing through October 21, 2017. When Robert Sirko was diagnosed with a rare form of cancer, the longtime professor of art at Valparaiso University instinctively began drawing images of “evil cancerous beings,” as he put it. While waiting for a doctor appointment in Chicago, Sirko wandered into the Chicago Cultural Center in 2016 and witnessed the work of Phyllis Bramson. Sirko knew immediately that he wanted to emulate her approach. 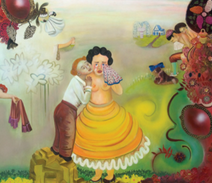 The Herron School of Art and Design is presenting Phyllis Bramson’s exhibition, “Love and Affection in a Hostile World.” The exhibition surveys three decades of work, bringing together more than 25 paintings and assemblages. Bramson will deliver the 2017 Christel DeHaan Family Foundation Visiting Artist Lecture at 5:30 p.m. on Wednesday, March 8, in the Basile Auditorium at Eskenazi Hall. An opening reception will immediately follow the talk. The opening reception and artist’s talk are free and open to the public. Click to read the Herron School of Art and Design’s press release, IUPUI Newsroom. James Yood counts Phyllis Bramson exhibition, “Phyllis Bramson: Under the Pleasure Dome,” among his top 10 exhibitions of 2016. Bianca Bova, art writer for Third Coast Review, an online publication covering Chicago culture and the arts, reviews Bramson’s past exhibition, “Under the Pleasure Dome” as one of the Best of 2016. Click to read more, Method Magazine. Lise McKean of the blog, Bad at Sports, talks with Phyllis Bramson about what’s in her sightlines after a recent run of Chicago area exhibitions. Click to read more, Bad at Sports. This year, Newcity’s Art 50 honors the artists who inspire all of us to see our city in a better, more beautiful light. From social practice doyens to venerable painters and sculptors, the city on the make keeps making better art each day. Click to read more, Art 50 2016. A trio of female chicago artists—Barbara Rossi, Phyllis Bramson, and Diane Simpson—are hitting their stride and attracting new fans, well into their careers. 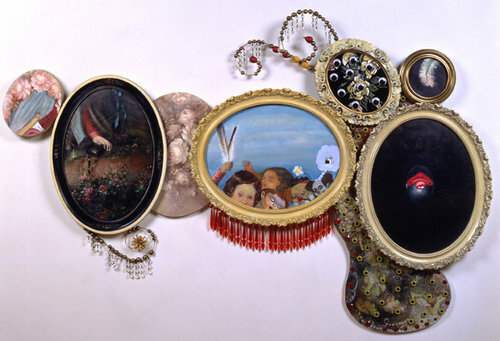 Artadia will exhibit works by 2004 Chicago Artadia Awardee Phyllis Bramson. Toby Kamps, Curator of Modern and Contemporary Art, the Menil Collection, Houston, TX, selected Bramson’s work from a pool of Chicago-based Artadia Awardees. Why “Bad Behavior” and “Inappropriateness” Can Be an Artist’s Necessity in the Studio to read, Booth Talk with Phyllis Bramson and Toby Kamps, access Artadia. Longtime Chicagoan and veteran art professor Phyllis Bramson has a career retrospective up this summer at the Cultural Center. “Under the Pleasure Dome” is a glorious whirlwind of excess, kitsch and desire in the form of three decades’ worth of paintings and assemblages. 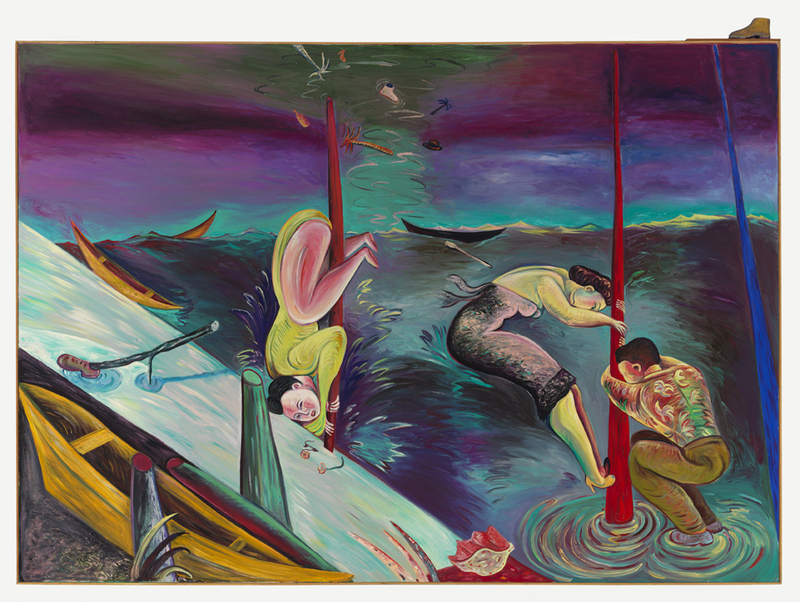 The most visually thrilling painting in Phyllis Bramson’s thirty-year retrospective is the earliest one. 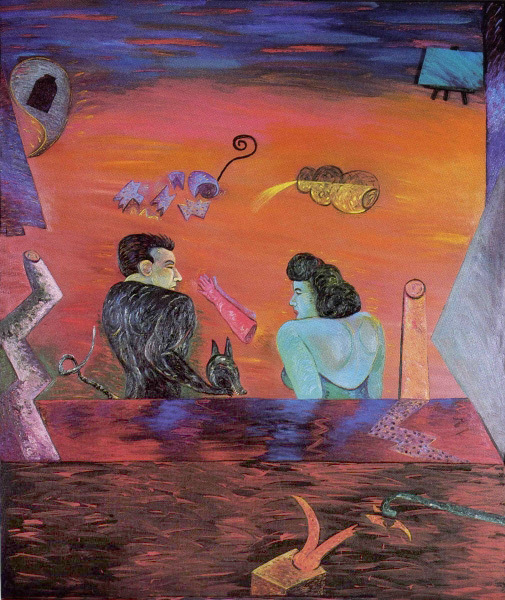 “Shipwreck” (1987) depicts an emotional, rather than nautical, disaster. The upside-down, bare-bottomed heroine clings to the mast as waves swirl around the sinking ship. 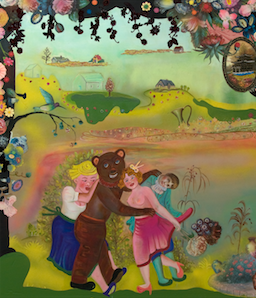 The Chicago Cultural Center’s exhibition, “Under the Pleasure Dome” is a wide selection of paintings and assemblages drawn from the artist’s collection and illustrative of her work over many years, including examples of her most recent “scroll” series. In a special tribute this summer, the Chicago Department of Transportation will take inspiration from Phyllis Bramson’s artwork for the design and color palette of the median landscaping along Michigan Avenue from Roosevelt Road to Oak Street. Bramson’s 30 year retrospective, “Under the Pleasure Dome,” will be exhibiting at the Chicago Cultural Center starting in June. Through interviews, studio visits and analysis, CDOT has produced a landscape design that reflects the curving natural forms and fanciful imagery found in Ms. Bramson’s art. Surrealism: The Conjured Life, curated by Lynne Warren, presents more than 100 paintings, sculptures, drawings, and photographs that demonstrate the deep currents that Surrealism sent through the international art world – and especially through Chicago – since its emergence in the first half of the twentieth century. Chicago collectors donated major works by those we now consider “classical” Surrealists, forming an early and continuing collection strength. These artworks also proved inspirational to generations of Chicago-based artists, from the immediate postwar group dubbed the Monster Roster to the Hairy Who and others, a further expression of the continuing lure of “the conjured life” that results in strange, often magical, and sometimes disturbing, imagery. Phyllis Bramson’s work is included in this exhibition. Gallery walk and conversation about Surrealism's influence with: Phyllis Bramson, Antonio Contro, Buzz Spector and the Curator, Lynne Warren. Tuesday, February 2, 2016, 6:00 pm. Click to read more, Painters on Painting. In COMP Magazine, an art & design magazine produced by the Art & Design Department at the University of St. Francis, Phyllis discusses her affinity with Chicago, romantic nature, thoughtful and sometimes irrelevant meditation, and why painting is still highly relevant in contemporary art dialogues. Click to read more, COMP. Click to read more, INSIDE\WITHIN. Phyllis Bramson (b. 1941) is something of a beloved artist in Chicago, whose arts community probably has the largest per-capita number of beloved artists of any city. It isn’t hard to understand why. 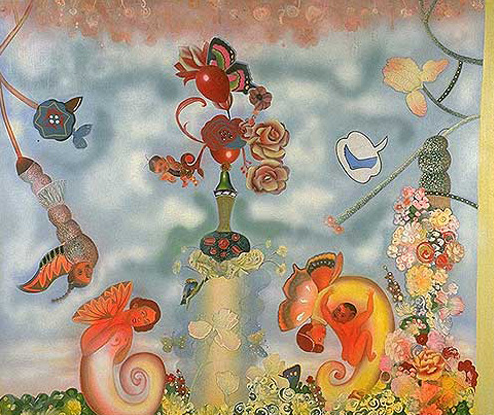 In a metropolis whose major postwar art style was everything-but-the-kitchen-sink Imagism (think Dr. Seuss on LSD), Ms. Bramson’s pictures are influenced by 18th-century French Rococo art and paintings of Chinese “pleasure gardens”; they contain – to condense from the gallery’s press release – conceits about life, miniaturized worlds and fairy tales, and speak about longing, innuendo and clichés. Getting all of this into paintings of moderate size is a tall order, and to accomplish that with any sort of charm – the strong point of Ms. Bramson’s art – would seem even more difficult. Oddly, it’s a kind of crudity – a deliberately semiclumsy combining of Western realism, Asian fog and flatness, collage and occasional glitter – that does the trick. If Ms. Bramson’s paintings were any slicker, they wouldn’t look as heartfelt as they do. Phyllis Bramson has been selected as one of the Women’s Caucus for Art Lifetime Achievement recipients for 2014. The Lifetime Achievement Awards were first presented in 1979 in President Jimmy Carter’s Oval Office, to Isabel Bishop, Alice Neel, Louise Nevelson, and Georgia O’Keeffe. 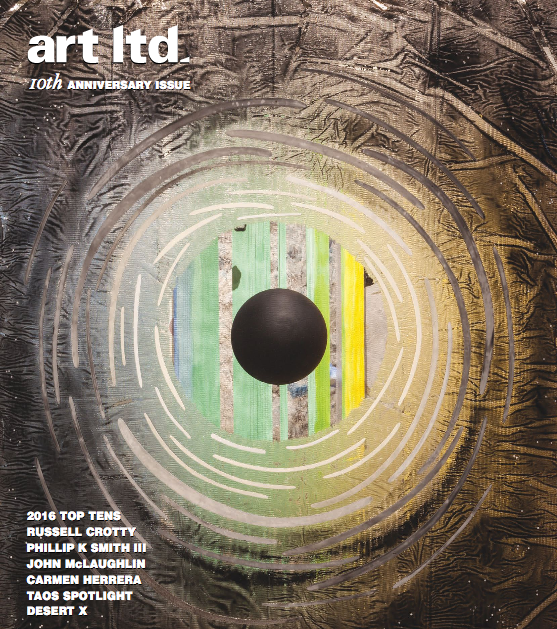 Other notable past honorees include Elizabeth Murray, Howardena Pindell, Suzi Gablik, Nancy Graves, Ellen Lanyon, Louise Bourgeois, and Lee Krasner. Past honorees have represented the full range of distinguished achievement in the visual art professions. This year’s recipients are Harmony Hammond, Adrian Piper, Faith Wilding, and Phyllis Bramson. These awards are part of the Women’s Caucus for Art Annual Conference, held in conjunction with the Annual Conference of the College Art Association (of which the Women’s Caucus for Art is an affiliate group) that will be held in Chicago, February 2014. The awards recognize the contributions made by women who have distinguished themselves by their activism and commitment to the women’s movement and to the arts. Selections for the Annual Honor Awards for Lifetime Achievement are among the most important actions the WCA takes to increase the recognition of women’s contributions in the visual arts. 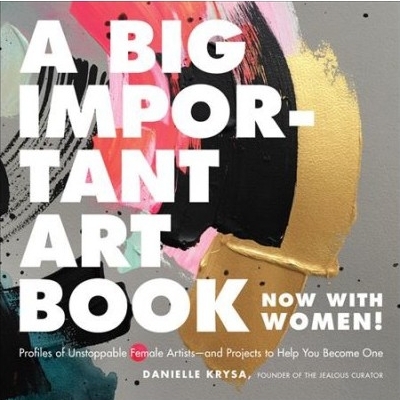 An illustrated catalogue with a short biography of each recipient and an essay in tribute to each recipient work and ideas, will accompany the award. Sunday, November 6, 2011, 2–3 pm. Do Chicago Collectors overlook Chicago Art? In Chicago Art Magazine’s “40 over 40” series, they highlighted artists over 40, most of whom occupy the “emerging” or “mid-career” status. The series seeks to challenge the New Museum’s acclaimed “Younger Than Jesus” exhibit, which only allowed artists under the age of 33. The magazine sent out a call for nominations and drew from an internal pool of artists selected by the editors. Further solidifying Nutt’s stature as an internationally significant artist, “Jim Nutt: Coming Into Character” provides an excellent opportunity to expand the artistic framework in which to consider his work beyond Chicago’s Hairy Who. “Seeing Is a Kind of Thinking,” a companion exhibition, includes work by more than 50 contemporary artists that resonates—either formally or through its subject matter—with aspects of Nutt’s work. 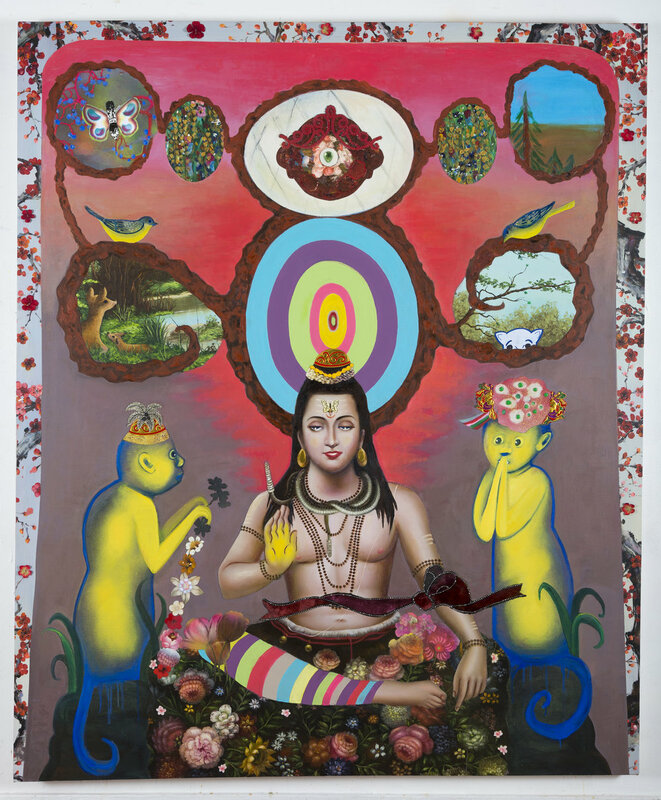 The exhibition is organized into four thematic sections that examine how artists look to comics, folk art and non-Western art as source material; representations of surrealist psycho-sexual dramas; the traditional portrait bust genre; and an architectural approach to materials that oscillates between 2-D drawings and 3-D forms. Artists represented in the exhibition include: Tomma Abts, Francis Bacon, Enrico Baj, Don Baum, Hans Bellmer, Phyllis Bramson, Victor Brauner, Chuck Close, George Condo, William Copley, Aaron Curry, Dominick Di Meo, Carroll Dunham, Oyvind Fahlstrom, James Falconer, Tony Fitzpatrick, John Graham, Art Green, Leon Golub, Theodore Halkin, Miyoko Ito, Rashid Johnson, Mike Kelley, Jeff Koons, Wifredo Lam, Eric Lebofsky, Fernand Leger, Richard Lindner, Robert Lostutter, Jim Lutes, Rene Magritte, Margherita Manzelli, Kerry James Marshall, Matta, Wangechi Mutu, Bruce Nauman, Rachel Niffenegger, Gladys Nilsson, Paul Nudd, Jim Nutt, Ed Paschke, Lari Pittman, Christina Ramberg, Martin Ramirez, Richard Rezac, Suellen Rocca, Kay Rosen, Peter Saul, Cindy Sherman, Diane Simpson, Steven Urry, Chris Ware, Andy Warhol, H. C. Westermann, Karl Wirsum, Frances Whitehead, Sue Williams, Scottie Wilson, Joseph Yoakum, Ray Yoshida, and Claire Zeisler. The School of Art Design at the University of Illinois at Urbana-Champaign has instituted the Distinguished Alumni Award given to past alums based on their accomplishments to their field and community. Bramson was selected by the faculty to be one of their first celebrated alums. This award was presented at a reception for alumni during the CAA’s conference held in Chicago, in February 2010.